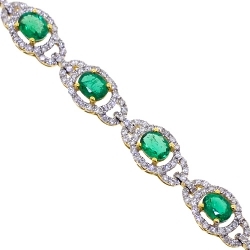 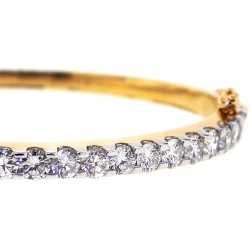 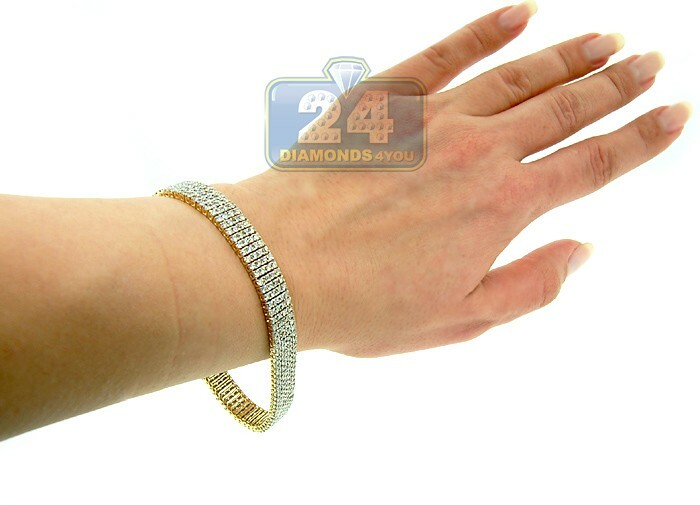 A river of diamonds shimmers through on this impressive flexible tennis bracelet! 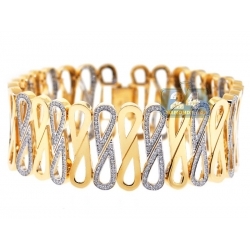 Professionally made of warm 14 karat yellow gold, the setting is highly polished for ultra smooth feel. 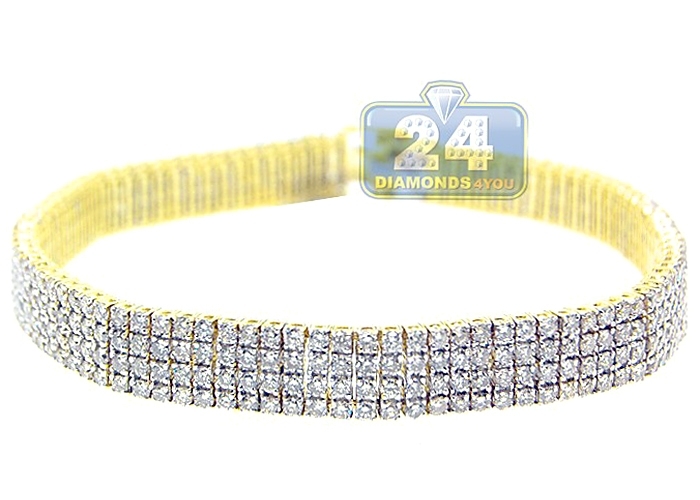 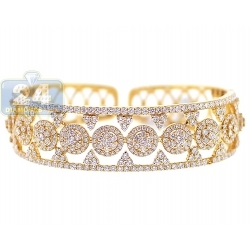 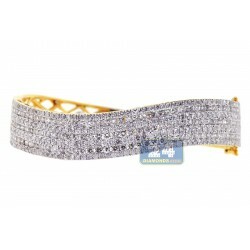 Our women's tennis bracelet is studded with sparkling white round brilliant-cut natural diamonds totaling 11.58 carats. 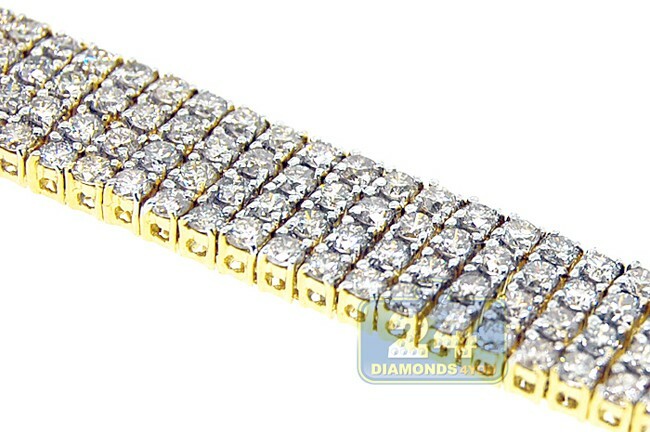 It also measures 7 inches in length, 9 mm in width and secure box clasp. 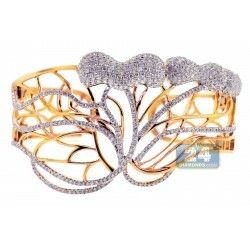 A stunning look for any fancy event!